Rustan’s Supermarket’s popular Goodness Gang is making a comeback with brand new members of the Superfoodz Edition, and they’re hitting the shelves as heroes of healthy eating and good nutrition. 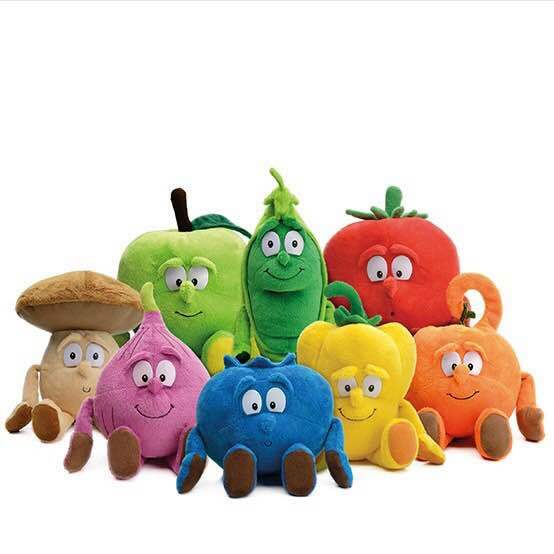 Following the success of the first Goodness Gang release, which included some favorite fruits and vegetables in the form of soft plush toys that remind you to love your body by adhering to the 5-a-day rule (5 piece of fruits, vegetables, or a combination of both, to be consumed each day), the 8 new Superfoodz stars are powerhouses of antioxidant, vitamins, and minerals. Known for fighting off chronic diseases, heart and bone problems, obesity, and simple illnesses, this year’s out to lead you onto the path to eating well and right, and keeping you in tiptop shape. 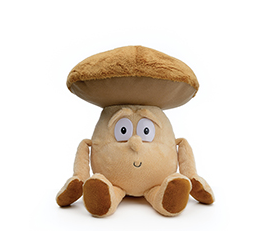 Leading the Goodness Gang is Max the Mighty Mushroom, the only fruit and vegetable with the sunshine vitamin – Vitamin D – that grows bones and strengthens muscles, while Pippa the Playful Pepper packs in Vitamin C and B to fight diseases and keep skin and hair healthy. Fiber, meanwhile, is Alex the Action Apple’s specialty, which he uses to stop high levels of bad cholesterol while his B-Complex vitamins protect the red blood cells and nervous system. 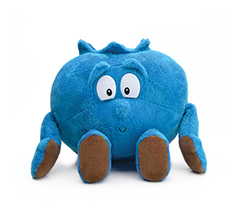 A mighty defender against infections and diseases, Billy the Brilliant Blueberry may be small, but he has more antioxidants than most other bigger fruits and vegetables. Patrick the Powerful Pea is another hero to watch out for as he saves the joints, lungs, heart, and bones from painful conditions. There’s also Thomas the Trusted Tomato, whose choice weapon is lycopene that nourishes cell membranes to remove the jun out of cells and keep the good nutrients in. Vitamin C is Olivia the Outgoing Orange’s super strength, which repairs skin damage due to the sun and pollution while also defeating nasty colds and flu. Finally there’s Fiona the Fantastic Fig, who combats the negative effects of processed food, salt, and fat with potassium and fiber. 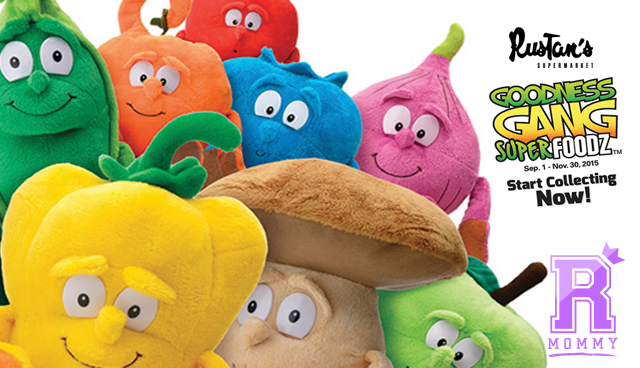 Each plush toy if FREE with 50 stickers earned or may be purchased for only P299.00 with 25 stickers earned. Customers earn 1 sticker for every P300.00 spent while an extra sticker is earned for every P100.00 on sponsored items. Get yourself, your family and friends in the bandwagon of health and good nutrition by bringing home the Goodness Gang from Rustan’s Supermarket. We received Billy the Brilliant Blueberry and Arya is loving him so much! Being an advocate of anything organic and healthy, I absolutely support this campaign and I sure wish that I will be able to pass it on to my sweet little girl. Rookie Mommy PH - loving Billy so much!